Almost five years after her unexpected death, Anna Williams’ presence flooded the Meadowbrook Elementary School media center on Friday, March 2. Williams was the principal of Meadowbrook when she passed away on October 30, 2013 – just four days after giving birth to her second child, Emily Claire. 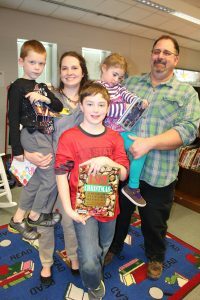 Meadowbrook celebrated Williams’ legacy with Anna’s Birthday Book Bash, an event first thought of by Williams’ son John Marshall and his step mother Dana Smith. Students, school staff, and community members donated more than 400 books and $500 in donations at the event to fill classroom libraries at Meadowbrook. At the book bash, those who knew Williams happily shared memories, laughs, and some tears. Williams’ father, Joe Williams, recalled that she would read five books each night to her son before tucking him in bed. Williams grew up in Haywood County and first worked as a teacher and assistant principal in Wake County. 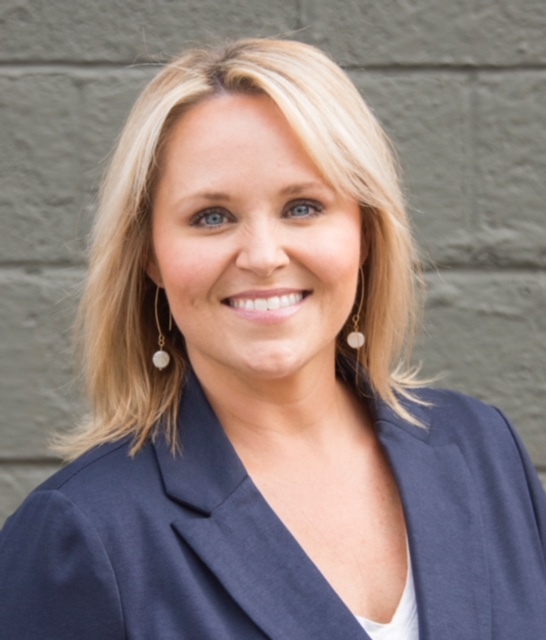 After moving back to her hometown, Williams served as an assistant principal at Jonathan Valley, Clyde Elementary and Waynesville Middle School before serving as the principal at Meadowbrook Elementary beginning in 2011. Former Clyde Elementary School Principal Jeff Haney hired Williams as the school’s assistant principal in 2008. Smith said he is hoping to make Anna’s Birthday Book Bash an annual event for Meadowbrook but would like to eventually collect enough books to distribute to other elementary schools. For more information about donating to a scholarship fund in memory of Williams or donating money to Anna’s Birthday Book Bash, contact Haywood County Schools Foundation Executive Director Jenny Wood Valliere at 828-456-2400 or visit www.hcsf.haywood.k12.nc.us. Two Haywood County rising high school seniors will attend the Governor’s School of North Carolina this summer. Gracelyn Woods from Pisgah High School and Joza Ballance from Tuscola High School were selected for the highly-coveted and competitive summer academic program. The Governor’s School of North Carolina is a summer residential program for intellectually gifted high school students that integrates academic disciplines, the arts and unique coursework. The curriculum focuses on the exploration of the most recent ideas and concepts in English, French, Spanish, mathematics, natural science, social science, art, choral music, instrumental music, theater and dance. Students were selected to apply for Governor’s School in one of the above disciplines based on their grades. The application, which students submitted last fall, included two essays and two letters of recommendation. To be eligible, students must be N.C. residents, enrolled in 11th grade, have achievement test scores between the 92 and 99 percentile ranges, and supply their class rank and transcripts. Once Haywood County submitted their applications to the state, a selection committee with specialists in each academic discipline reviewed and scored each student application. 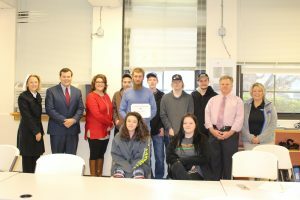 Haywood County’s students were notified of their acceptance in March. Woods and Ballance were both selected for English. Woods will attend Governor’s School West at Salem College in Winston-Salem and Ballance will attend Governor’s School East at Meredith College in Raleigh. The English curriculum focuses on modern and post-modern fiction, poetry, and drama. During Governor’s School, students will be encouraged to read closely, imaginatively, analytically, and empathetically. Many of the classes will incorporate creative and analytical writing workshops to help students improve their writing. During Governor’s School, students complete an intense study of the field they were nominated in and attend classes that encourage group discussion of practical applications of theory. Students have the opportunity to learn from speakers, performances, exhibitions, field trips, demonstrations, seminars and film series. When students are not in class, social and recreational events are offered. Woods and Ballance will complete the nearly six-week program from June 17 to July 25 with a three-day midsession break in July. The cost of the program for the two Haywood County Schools’ students is being paid for by a donation from Dr. Doris Hammett, a local Haywood County Schools supporter and retired pediatrician. “It’s amazing to me that someone from our community truly wants to help provide these great experiences for kids in Haywood County,” Ballance said. “I probably wouldn’t have been able to attend Governor’s School without Dr. Hammett’s donation,” Woods said. Governor’s School faculty and staff include teachers and professionals from public and private schools, colleges and universities, and independent artists and scholars. Governor’s School is the oldest statewide summer residential program for academically and intellectually gifted high school students in the nation. Each year, up to 650 N.C. students are selected to attend Governor’s School. The Haywood County Schools Foundation recognized Canton Middle School teacher Amy Tiller and Pisgah High School teacher Tim Shephard with Excellence in Education awards for the month of February. For 14 years, Amy Tiller has been teaching for Haywood County Schools. She has taught at Tuscola, Pisgah, Clyde Elementary, Waynesville Middle, and now at Canton Middle. 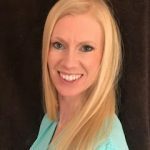 Tiller invites her students to ask questions and be active in the classroom while she teaches subjects like meteorology, physics, cellular biology, human anatomy, genetics, and microscopic life. Tiller said her ultimate goal as a seventh-grade teacher is to help her students learn the content required by the state while also becoming persevering problem solvers who are passionate about the world around them. Pisgah High School teacher Tim Shepard is well known for developing hands-on lesson plans for his students. Shepard teaches earth and environment science, as well as physical science. His students can often be found outside studying chemical weathering or in the lab creating their own chemical reactions in test tubes. This is Shepard’s 16th year teaching for Haywood County Schools. He began his career at Waynesville Middle School before going to Canton Middle School where he taught for 13 years. He has been at Pisgah for the past three years. High school baseball season, a time that the late David Sherrill greeted with anticipation and excitement, is just around the corner. The news of Sherrill’s death sent shock waves throughout Haywood County when he tragically lost his life in a car accident on March 31, 2006. Sherrill was a senior at Tuscola High School and an avid baseball player. In addition to being a stand-out athlete, Sherrill was known as a lovable character who touched the lives of many people through his church, school, community, and his family. When Sherrill’s mother Sherry White was still grieving, the community was determined to find a way to memorialize her son’s life. In January 2007 through donations from many businesses, individuals, Haywood County Schools, Major League Baseball, and an annual golf tournament, the David Sherrill Diamond Skills Center was built and dedicated in Sherrill’s memory. In addition to the baseball-training center an endowed memorial scholarship was established to award students at Tuscola High School who exhibit the same traits he lived every day of his life; hard work, over-achieving and love of his family, church and friends. White said the fundraising efforts for the training center were initially started by Mackie and David McKay of RCF Construction. Rob and Jeanne Poulan, whose son was friends with Sherrill, were the initial contributors to the scholarship. Since then, friends and family have hosted golf tournaments, putt-putt competitions, and baseball fundraisers to raise money for the scholarship fund. Scholarship recipients must be a Tuscola High School senior and preference is given to those who demonstrate a strong work ethic, scholastic achievement, financial need, participation in athletic activities, and involvement in community service. 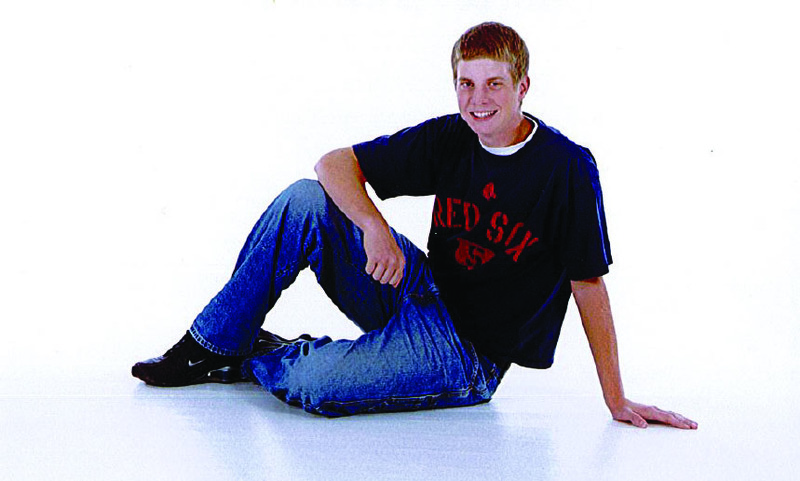 Since 2007, up to two graduating Tuscola High School seniors have been awarded each year with a $500-1,000 scholarship from the David Sherrill Memorial Scholarship Fund. This May, the newest David Sherrill Memorial Scholarship recipient will be named at the Haywood County Schools Foundation’s Partners in Education Scholarship Ceremony. White said that she will always remember her son’s contagious smile and likeability that everyone around him recognized. 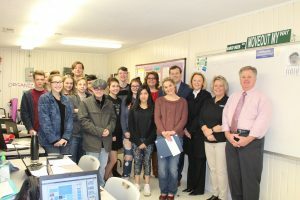 Last year, 97 high school seniors from Pisgah, Tuscola, Central Haywood, and Haywood Early College received scholarships from the Haywood County Schools Foundation totaling more than $162,000. Applications are currently open for all of Haywood County Schools Foundation’s scholarships, including the David Sherrill Memorial Scholarship. High school seniors may pick up an application at their school’s guidance counseling center or download an application at www.hcsf.haywood.k12.nc.us. The deadline to apply is March 12. The Haywood County Schools Foundation currently manages more than 60 scholarships that have been established by businesses and individuals in the community. Scholarships may be endowed or funded annually. Criteria for awarding the scholarship are designed by the donors and the Foundation Board of Directors. Endowed scholarships are generated through the investment of permanently-held principals, so that only the income from the principal is used for scholarship awards. For more information about donating to the David Sherrill Memorial Scholarship or setting up a scholarship through the Haywood County Schools Foundation, contact Executive Director Jenny Wood Valliere at 828-456-2400 or visit www.hcsf.haywood.k12.nc.us. The 10th annual Haywood County Schools Foundation Mardi Gras Ball is Saturday, February 24 at 6:30 p.m. The Mardi Gras Ball, sponsored by Entegra Bank, is the Haywood County Schools Foundation’s largest fundraiser of the year. Since 2008, the event has raised more than $500,000 for the Haywood County Schools Foundation. Last year’s fundraiser alone brought in more than $65,000 in donations thanks to all Mardi Gras candidates, including the reigning Mardi Gras King Nathan Lowe and Queen Becca Swanger. 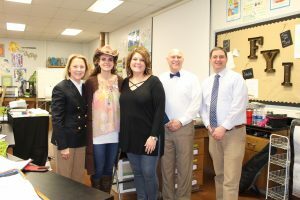 Each year, dedicated community members volunteer to run as candidates for the Mardi Gras court in an effort to raise money for the students, schools, and employees of the 15 Haywood County Public Schools. The male and female candidates who raise the most money are crowned king and queen of the Mardi Gras Ball. All money raised from the competition and at the Mardi Gras Ball on February 24 is used for student scholarships, teacher recruitment and retention, and to fund grants for Haywood County teachers to purchase classroom supplies and attend training and workshops. Entegra Bank is the lead sponsor of the event. Entegra Bank is committed to meeting the financial needs of Haywood County. To purchase tickets, make a donation to a candidate’s fundraiser, or to make a donation to the Haywood County Schools Foundation, contact Haywood County Schools Foundation Executive Director Jenny Wood Valliere at jwood@haywood.k12.nc.us or 828.456.2400 ext 2117. You can also make donations online via PayPal at www.hcsf.haywood.k12.nc.us. Be sure to enter the name of the candidate you would like to support in the notes section. Stephanie Welch-Strickland: Queen candidate Stephanie Welch-Strickland is a native of Haywood County. She is currently the office manager for Sunburst Trout Farm and property manager for Welch Properties. She received her Bachelor’s in European History at WCU. 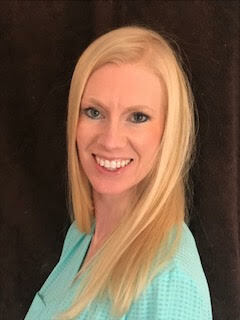 Stephanie serves as treasurer for Hazelwood Elementary PTO, treasurer for the Waynesville Sunrise Rotary Club, and secretary for the WMS Booster Club. She sits on the board of directors for the Carolina Mountain Soccer Club, WCU Catamount Club, and the Town of Waynesville’s Board of Adjustment. She is also a member of the volunteer committee for the Haywood County Special Olympics and a team mom for her children’s many sports teams. 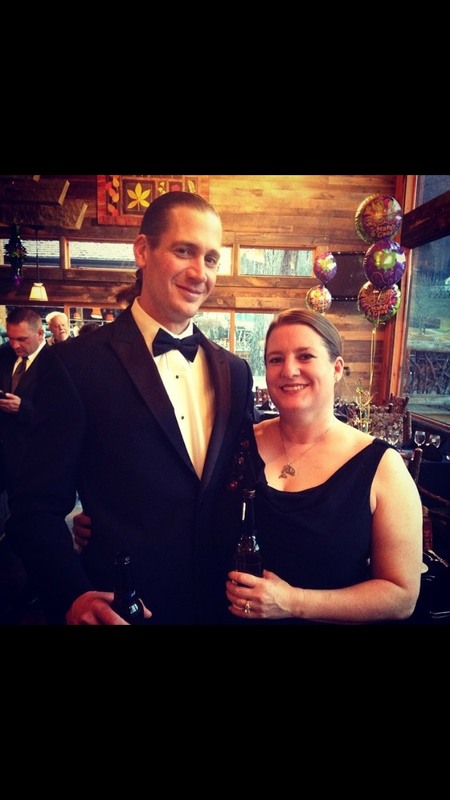 Stephanie has been married to her husband Strick (a former King of Mardi Gras) for 20 years, and they have two kids. Scarlett is a 7th grader at WMS and Stonewall is a 4th grader at Hazelwood Elementary. She and her family enjoy volunteering with youth in the school system, travel sports leagues, and other community organizations. Carla Pressley: Queen candidate Carla Pressley grew up in Waynesville, but has lived in the Bethel community for the last 20 years. She is a Tuscola graduate and also attended HCC. Carla has enjoyed helping keep Haywood County beautiful by being a hair stylist for the last 20 years, and she currently works at Elements Salon. 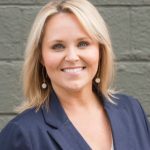 Carla also recently became a Realtor and is working at Keller Williams in Waynesville. Carla has 2 sons, Cayce and Carter. She also has 2 blue heelers, Ellie and Callie, and a goat named Nova. She was cheer coach for Bethel Youth Organization for 6 years and served on the board as well. Ashley Zande: Queen candidate Ashley Zande was born and raised in Haywood County and attended Haywood County public schools. After that, she attended WCU where she studied pre-pharmacy. She completed her doctorate of pharmacy from South University School of Pharmacy in Georgia in 2009. After graduation, she began practicing at Waynesville Pharmacy on Hazelwood Avenue. She attributes her life accomplishments to the strong educational foundation she received from Haywood County public schools. In July 2015, she married Michael Zande, and they look forward to welcoming their first child in July who will be in the Haywood County Schools Class of 2039! Ashley is an active participant in the Rotary Club of Waynesville-Sunrise. She enjoys singing in the choir at First Baptist Church of Waynesville, staying active, ballroom dancing, and spending time with family and friends. 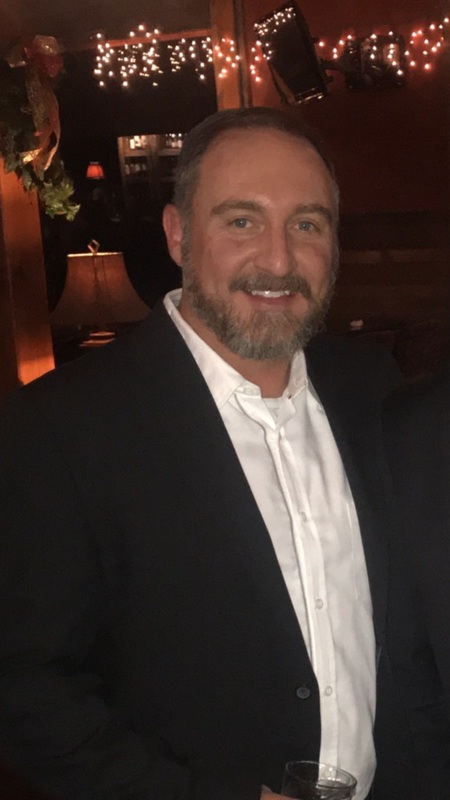 Travis Bramlett: King candidate Travis Bramlett is the owner of The Hot Tub Store in Waynesville. He graduated from WCU with a major in Business Management. He is very active in the community when it comes to charities and non profits. He donates hot tubs to fundraisers for Disabled Veterans, Sarge’s, and Richie’s Autism Alliance each year. He is also raffling off a hot tub for the Mardi Gras Ball. Travis knows how important it is to make education a top priority in today’s challenging times. Travis’ favorite pastime is spending as much time as possible at Fontana Lake. 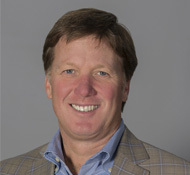 Lee Prevost: King candidate Lee Prevost is the co-founder of Dude Solutions, one of the fastest growing software companies in North Carolina. Dude Solutions, based in Cary, serves many school district and government organizations, including Haywood County Schools. He received his bachelors degree in Electrical Engineering from NC State University. 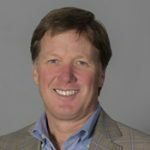 Lee and his wife Scharme grew up in Western North Carolina (Waynesville and Hickory), and they enjoy skiing and boating with their two children who have recently left the nest. Lee enjoys fly fishing, hunting, and watching great musical artists perform. 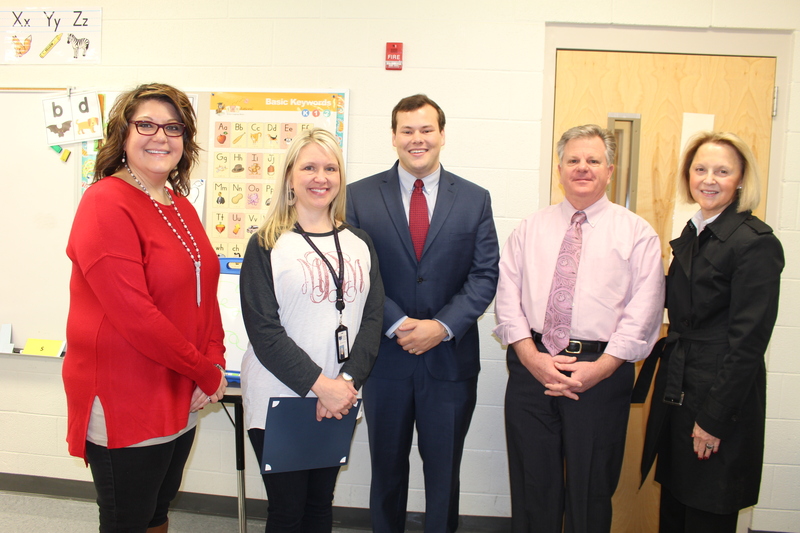 Last month, Haywood County Schools’ teachers Susanne Cauley, Nicole Foster, Michele Burris, William Yates, Robert Allison, and Beth Hooper were recognized with Excellence in Education awards. For 15 years, Susanne Cauley has been an elementary school teacher. She taught for five years after graduating from Western Carolina University and then stayed home with her two children for five years before returning to the classroom in 2007 at Hazelwood Elementary School. Cauley said many of her students describe her as a calm teacher because she maintains a structured classroom while still allowing students to have a voice. 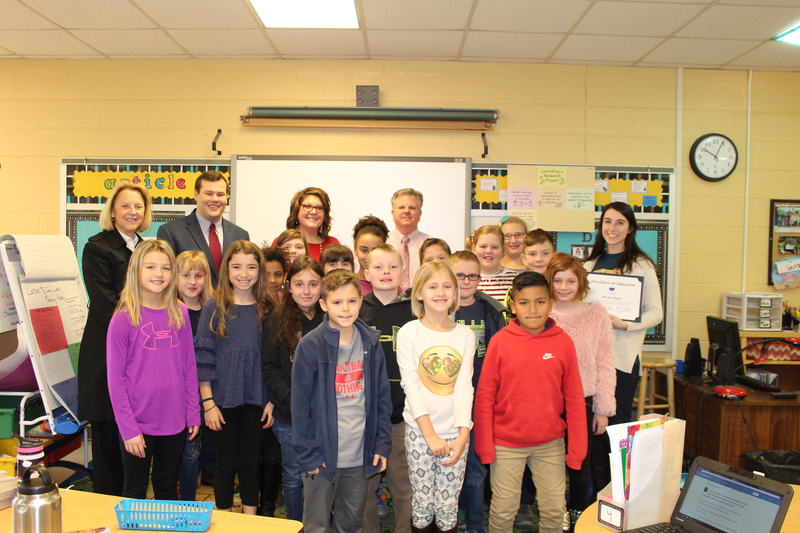 Although Nicole Foster has just been teaching for four years, her passion and enthusiasm for teaching earned her the Excellence in Education award for Meadowbrook Elementary School. Foster believes in order to help each of her students reach their full potential, her fourth-grade classroom must be a comfortable environment where students feel love and support. Foster’s students can often be found outside measuring sidewalk squares and basketball courts during math scavenger hunts or having “grand conversations” with their classmates during book club. Just down the road at North Canton Elementary School, 20-year teaching veteran Michele Burris sits down at a table with a student to focus on reading and math skills. 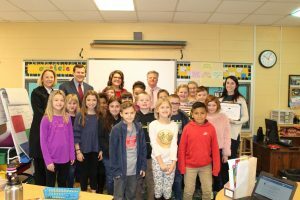 Burris has spent her entire teaching career at North Canton Elementary where she spent many years in general education classrooms before becoming an Exceptional Children’s teacher for grades K-5. 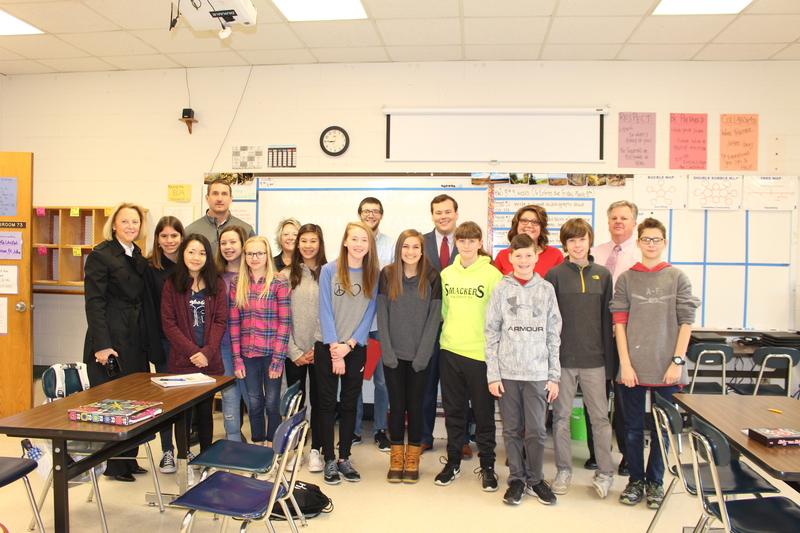 Across the county at Waynesville Middle School, William Yates works to weave together concepts from English, math, science, and history into every lesson plan in his AIG class. It is not uncommon for Yates to incorporate heated debates, investigative research, group-focused challenges, game-based learning, exploratory projects, and eyewitness simulations in his classroom every day. Although Yates said he is typically perceived as a zany, energetic teacher on the first day of class, by the end of the semester, he hopes his students have learned to harness their passions, show empathy, and stay curious. 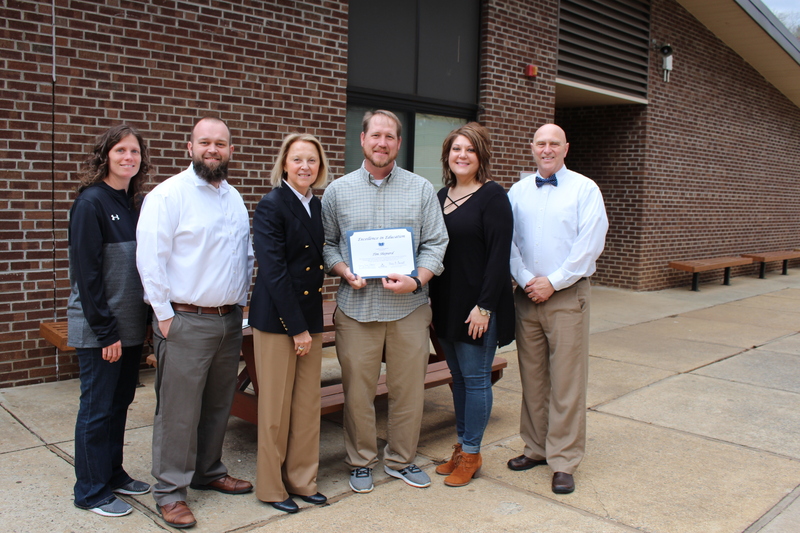 Central Haywood High School (CHHS) teacher Robert Allison is well known for spontaneously changing lesson plans to suit his students’ needs for the day. 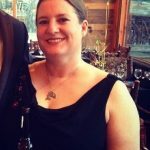 Allison, who has been teaching full time at CHHS for five years, teaches earth science, physical science, and biology. Whether he is teaching how mankind affects the natural world or going over physics formulas, Allison encourages active conversations with his class. Beth Hooper has been teaching for Haywood County Schools for the past 13 years. She spent one year at Bethel Middle, six years at Tuscola High School, and has been at Haywood Early College (HEC) since 2011. In her English I and III classes at HEC, Hooper focuses on honing students’ analytical writing skills to prepare them for college-level literature classes. 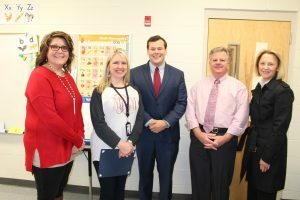 Second and third grade teachers at Meadowbrook Elementary School were surprised with a $2,000 donation from two local churches on Wednesday, January 24. Congregations at Morningstar United Methodist Church and Plains United Methodist Church raised the money over several weeks. 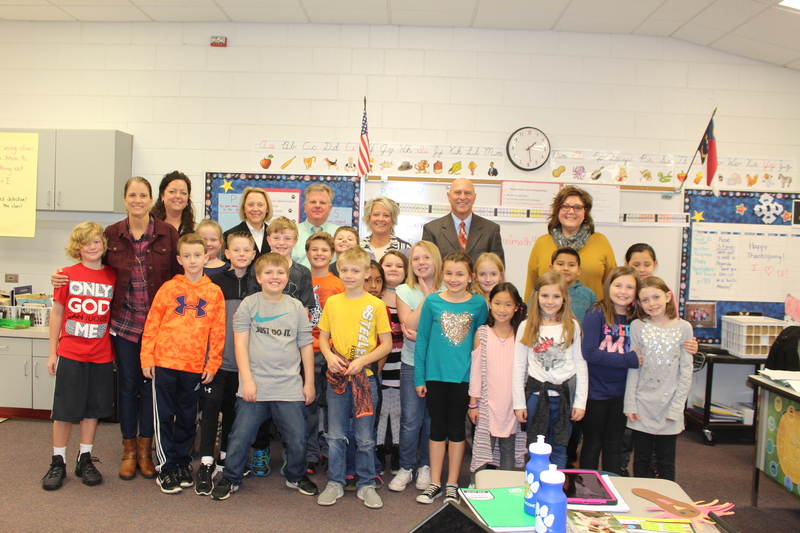 The $2,000 donation will be split among two second grade and three third grade classrooms at Meadowbrook to purchase books. This is the second year that the two churches have come together to raise funds for Meadowbrook Elementary classrooms. Last year, kindergarten and first grade teachers received money for high-interest, non-fiction books. Rev. Jones and Rev. Zack Christy said their churches plan to continue giving monetary support to the school and will focus on different grade levels each year. After nearly 40 years of serving the students of Haywood County Schools, Superintendent Dr. Anne Garrett is retiring. Dr. Garrett was hired as superintendent in 2004, going on to lead Haywood County Schools from 40th place among North Carolina school systems to 11th out of 115 districts. Dr. Garrett said even as a young girl growing up in Maggie Valley that she loved school. Upon graduating from Western Carolina University with a B.S. 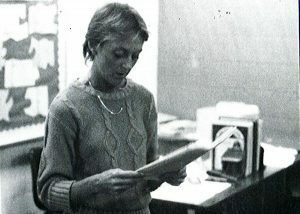 in middle grades education, Dr. Garrett accepted a teaching position at Bethel Junior High in 1978 where she taught pre-algebra, reading, and language arts classes to 150 students each day. A few years later, she was promoted to lead teacher and then moved to North Canton Elementary School to serve as assistant principal for two years. She became principal at Morningstar Elementary School during its final year before closure. In 1986, Dr. Garrett made the move to Haywood County Schools’ central office as supervisor of elementary curriculum. Over the next five years at central office, she served as supervisor of math and cultural arts, elementary and cultural arts supervisor, and director of federal programs and cultural arts. She jumped back into a principal role in 1993 at Jonathan Valley Elementary School where she stayed until 1996. The following year, she was hired as principal of Junaluska Elementary School. Dr. Garrett returned to central office as associate superintendent in 1997. Seven years later, she was promoted to superintendent. 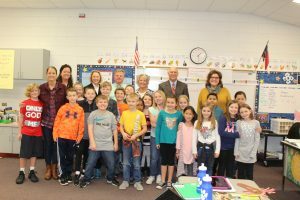 When Dr. Garrett began as the superintendent, she set a goal to bring Haywood County Schools up to the top 10 percent of school districts in the state. The road to the top was not without its difficulties for Dr. Garrett and her leadership team. Dr. Garrett points to the closing of Central Elementary School in 2016 and the $2.4 million budget deficit the school system faced last year as some of the most challenging obstacles she faced in her career as superintendent. “Although those were both certainly trying situations, through a lot of hard work and creative budgeting, we didn’t have to let a single employee go,” Dr. Garrett explained. That resourcefulness and level-headed thinking has led Dr. Garrett to have one of the longest careers with a single school district in the state. 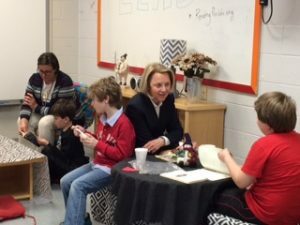 During her tenure, she has been named the North Carolina Association of Educators (NCAE) Superintendent of the Year, Region 8 Superintendent of the Year, Haywood County’s Person of the Year, Western Carolina University’s (WCU) Peak Performer Hall of Fame, and dozens of other accolades. Although Dr. Garrett has no concrete plans for life after retirement, she is under contract to write three books. Two are children’s books about bullying and character building, and the third book is about her experiences in education. She has previously published 11 educational books. Dr. Garrett’s last day is Wednesday, February 28. The community is invited to celebrate Dr. Garrett’s career at a retirement celebration on Thursday, February 15 from 4:00-6:00p.m. at Tuscola High School. More than 16 years after his death, Master Trooper Calvin Taylor is still making an impact in the community. On October 3, 2001 Trooper Taylor was killed when his patrol vehicle was struck by a tractor-trailer while on a shoulder of I-40 in Haywood County. Trooper Taylor’s family, fellow officers, and friends donated money, held golf tournaments, and hosted fundraisers to establish a scholarship. Pat said that the family was also approached by several people who wanted to commit money to the scholarship fund in their wills. Just one year after his death, they had raised enough money to create the Master Trooper Calvin E. Taylor Memorial Scholarship Fund with the Haywood County Schools Foundation. Each year since 2002, one graduating senior from Pisgah High School has been awarded a $1,000 to $1,500 scholarship from the Master Trooper Calvin E. Taylor Memorial Scholarship Fund. Scholarship recipients must be a Pisgah High School student, which is where Trooper Taylor graduated from, and preference is given to applicants seeking to major in a law-enforcement-related field of study. Along with his passion for law enforcement, Trooper Taylor was an active volunteer in the school system. 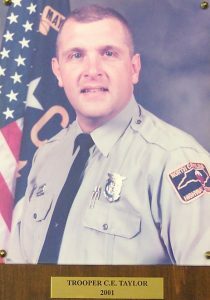 Trooper Taylor had been employed with the North Carolina Highway Patrol for 20 years, and was assigned to Troop G, District 5. This May, the 17th Master Trooper Calvin E. Taylor Memorial Scholarship recipient will be named at the Haywood County Schools Foundation’s Partners in Education Scholarship Ceremony. Applications are currently open for all of Haywood County Schools Foundation’s scholarships, including the Master Trooper Calvin E. Taylor Memorial Scholarship. High school seniors may pick up an application at their school’s guidance counseling center or download an application at www.hcsf.haywood.k12.nc.us. For more information about donating to the Master Trooper Calvin E. Taylor Memorial Scholarship or setting up a scholarship through the Haywood County Schools Foundation, contact Executive Director Jenny Wood Valliere at 828-456-2400 or visit www.hcsf.haywood.k12.nc.us. Beginning Monday, January 8, more than 65 scholarships will be available for high school seniors of Haywood County Schools to apply for through the Haywood County Schools Foundation. Applications will be available at each high school’s counseling center and on the Haywood County Schools Foundation website at www.hcsf.haywood.k12.nc.us. Last year, the Haywood County Schools Foundation awarded 97 Pisgah, Tuscola, Haywood Early College, and Central Haywood high school students with 117 scholarships totaling more than $162,000. To be eligible, a student must be a Haywood County resident, currently enrolled in a Haywood County high school, and be a graduating senior. The student must be planning to attend an approved secondary program (technical/community college, junior college, or four-year institution) and have a 2.5 or better GPA. Along with completing the application, students must include copies of SAT/ACT scores; three letters of reference, one of which must be from a community member; and a copy of their FAFSA application. Completed application packets must be submitted to the student’s high school counseling center by Monday, March 12. Scholarship winners will be notified by May 1. A Partners in Education celebration for scholarship winners will be held on May 21 at Tuscola High School. 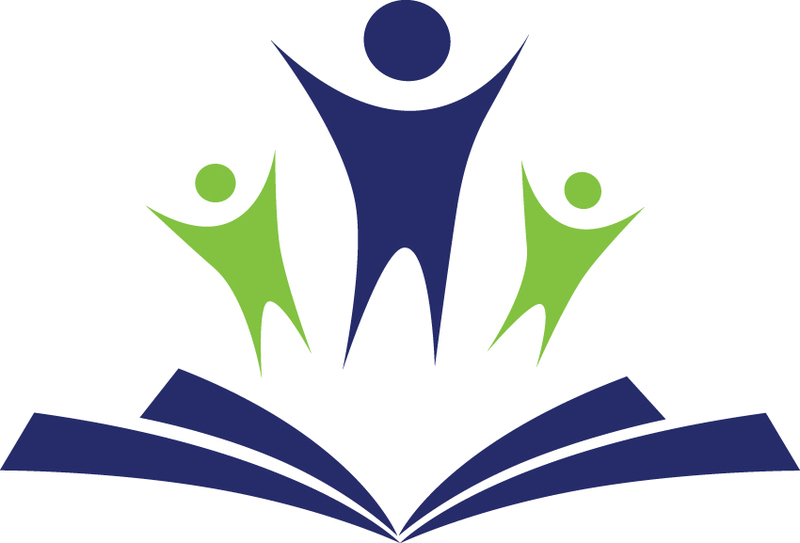 The Haywood County Schools Foundation is a nonprofit, tax-exempt organization dedicated to supporting educational opportunities for the students and staff of Haywood County Consolidated Schools. The funding for scholarships is provided by generous donors. For more information about scholarships or help with filling out a FAFSA, contact Wood Valliere at jwood@haywood.k12.nc.us or 828.456.2400 ext 2117.